Danger: Will This Website Makeover Be Hazardous To Your Business? Sometimes, when you’re stressed, the last thing you want to hear is, “Calm down.” Or, “Take a deep breath.” In fact, from what I’ve observed of serious fights on a bar floor or basketball court, those words seem to turn up the heat rather than defuse a dangerous situation. But, alas, sometimes that’s what you most need to do … especially when you’ve just taken delivery of a new website. Because taking delivery of a website, after you’ve viewed the drafts, is like getting engaged to someone you’ve been dating. Suddenly that person is yours. Saying “yes, I take you to be my lawful spouse forever and ever,” feels different from saying, “Yes, let’s go to a concert next Saturday.” And even though you’re talking to the same person, you notice things you never did before. Why does this happen with websites? (1) You had a vision for your website in the back of your mind … but you couldn’t say just what it was. But it’s not this. Or you just were expecting something …well, awesome! Something that would blow you away. Getting that site might be unrealistic because nobody on the planet could make it … or you’d have to pay thousands of dollars … or you can’t put your dream into a blueprint that someone could follow. (2) You asked for changes to the first draft, but didn’t realize how one change would impact everything else. (4) You don’t feel the website captures the Real You or tells your story, with the copy, images or both. Maybe it feels too sales-y? Too bold? Too soft and boring? (5) You chose a WordPress theme you liked, but it doesn’t look the same with your photos. (This experience is common. Images will change the look and feel of a website, even if the design structure is the same.) And the copy looks different once it’s nestled next to the photos in the WordPress theme. We’re assuming that you’ve already viewed the copy. We’re assuming you’re just now faced with a WordPress website in living color … and it’s scary. Learning how to set up a widgetized home page can be tricky until you “get” the underlying principle, when it becomes easy. Yet for most businesses, going outside WordPress just doesn’t make sense. Because WordPress is so common, you’ll easily get help. Once you learn the basics, you’ll have a whole world open to you. If you’re a hands-on, DIY type (like me), you’ll gain control over your site. You don’t need a designer or webmaster. In fact, when I work on websites, I can set up a site (with my tech team) that with a lightly customized WordPress theme. Once you’ve got the program installed, you can make changes easily or hire someone at low cost to get them made. That is not design. A true designer will do much more than just customize a WordPress theme, i.e., fill in the widgets to look like the published sample. In fact, if you hire a designer, make sure you’re not just getting customization (unless that’s all you want or need). What NOT to do: It’s rarely a good idea to jump off to Wix, Weebly or another platform that seems simple. You’ll get a site up quickly and you’ll feel it’s faster than WordPress…but sooner or later it’ll catch up with you. The WordPress learning curve isn’t as steep as it looks. Some people do just fine with other platforms and you may, too: just be aware of the limitations before you commit. (1) Take the proverbial deep breath. Meditate, if that’s what you’re into. Take the afternoon off and do something distracting. Get away from the website for awhile. (2) Go back and look at the website again. Review the first draft and your notes from the first draft. Recognize that the final version will always look different … and not always in a good way. In particular, if your copy seems too sales-y or too bold, show it to a trusted client. “A little strong isn’t it?” you’ll say nervously. You may be surprised to learn that you don’t have to tear everything down and start over. For instance, if your photos are too small, and you have originals in larger sizes, it’s very easy to make substitutions. If your photos are too big, you may be able to resize within WordPress. You can even decide your photos don’t work and you need new ones. You can even change themes in WordPress, unless you’re using a theme like Divi, which pretty much locks you in. Unless you’re prepared to hire a designer who specializes in WordPress — and not someone from Fiverr — it’s usually a good idea to work straight from the theme. In other words, find a theme with a home page that looks exactly like the one you want to build. It will look different once you add your own photos; that’s not the theme’s fault, or anyone’s fault. When I lived in New Mexico, I had my front porch painted a lovely shade of plum — almost purple. The walls of the house suddenly looked different and so did the whole impact of the house. Once you start changing things around, you lose responsiveness, i.e., the website doesn’t work on devices across the board. For instance, before I knew better, I hired a tech person to move a signup form from the left to the right on the widgetized home page of my site. He had no trouble changing the code. The site looked perfect … until I started comparing how it looked on different devices. And until I tried making further changes on my home page. Some themes give you more flexibility than others. If you choose a flexible theme (such as Divi) be aware that your site may not present well on mobile devices, and you will have to start over if you change to a new theme. Often that’s not a problem, but you need to know. But what if there’s something wrong? 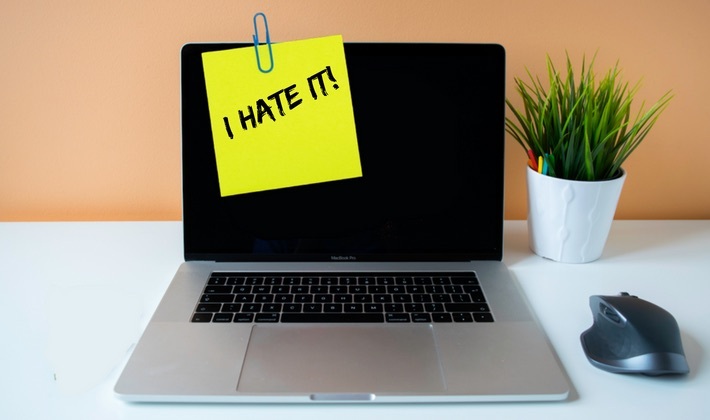 Check out this article from Hubspot’s website, identifying 17 serious issues that make people hate your website. The top three are loading time, poor presentation on mobile devices, and unclear navigation. You probably won’t have slow loading time unless you have many large images and/or many plug-ins. And most WordPress sites are optimized automatically for mobile devices. And your navigation should be clear and simple if you’re working with a copywriter, whether they write for you or you DIY. Make sure your instructions have been followed. After all, if you hire a painter to paint the walls blue, you can’t be upset if you decide, “Green would really look better in this alcove.” If the painter chooses to go with a bright red, with no instruction from you … that’s another story. Protect yourself from the biggest problem you can have with your website. It’s easy … if you do it right from the start. Without a few simple precautions, you can get locked out of your own website. You can lose your domain name. I’ve had to help clients buy back their own domain names and beg for access to their own websites so they could change a date. Make sure you own your domain name and website and pay with your credit card. Log in to the admin section of your WordPress site. See if your logon and password work. When you allow someone else to work on your website, make sure you retain access throughout the process. Change your password after they’re finished. You’re creating a marketing tool, not a monument. On one of my websites, I kept tweaking and tweaking … and then six months later I realized I needed to change my entire message and brand. Your website probably will be changed within three to five years. A good-enough website will be better than no website. 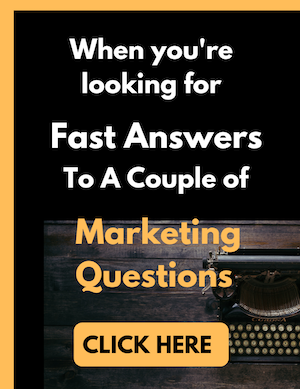 A reasonably attractive professional website that communicates your message will be better than a knock-your-socks-off site that delivers the wrong message, doesn’t generate leads, and confuses your visitors. Before making huge changes, review your priorities. And yes, take a deep breath. Everything — including your website — will look better tomorrow. If you’d like to discuss your message — and maybe what’s needed for a new website — start with a consultation here. And what do you think … have you had experience either as helping someone build a website, or someone who hated their website right after it was delivered?